Hey Everyone! I hope all of you had a fantastic week last week, but it sounds like that was very much the case. This past week has been a very different one for sure. One of the coolest miracles was my companion. Now, as you all know I have said very little of my past companion for the last 3 months. His name is Elder Call, he is from Kent, Washington, he LOVES video games and played generally for entire days at a time. He is the youngest of 5 children in his family and the second to serve a mission. Just the other night on Tuesday, we stopped over to see Michael. Now Michael has a friend named Vaughn who was raised a member of the Church in Utah, but fell away many years ago. He is supportive of Michael's endeavors to come closer to Jesus Christ by being baptized. Vaughn was over at Michael's house at the time and sat in on the discussion. We had a wonderful time with the two of them and were about to leave when Vaughn said that he had a question which might surprise us a little bit. We urged him to ask and we told him we would try our best to answer. He let us know very clearly that this was not a matter of intelligence, wit, etc, but rather a "Right people, right place. right time" scenario. After some thought, he finally said, "Tell me about Patriarchal Blessings." What a great experience it was! For my companion, for Michael (who wants Vaughn to come back), for Vaughn, and for myself. The Lord speaks to all! He gives liberally according to our wants, desires, and the heed and diligence we give to Him. Elder Call was transferred to Katy two days later to serve with an Asian Elder as I had jokingly told him would happen. My new companion's name is Elder Jimenez. He is AWESOME! He is from Spanish Fork, Utah, is on Reserve in the Army and wants to be a pilot as well. He is so cool and we have already had a blast from the past few days serving together. God has watched out for me and protected me these many days among the people of Texas. I have been through much, I have seen much, experienced much, and hope to remain faithful and strong through the rest. What I cannot deny is that there is some plan which the Lord has for each of us, and those things that happen to us are part of His plan. We have weakness to become strong THROUGH OBEDIENCE TO GOD'S LAWS AND THE GOSPEL OF JESUS CHRIST, NOT TO MAKE EXCUSES FOR OURSELVES AND THEREFORE BE DEPRIVED OF LEARNING AND GROWING EXPERIENCES. How short is the time we have here to BECOME the kind of beings we will need to be in order to inherit all that the Father has! There is simply not time to be anything less than fully commited. 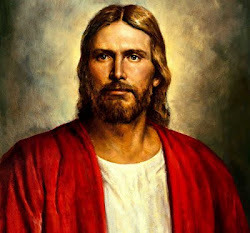 Being a perfect Being with love beyong comprehension for us, Heavenly Father provided the way- He sent a Savior to die for us and we now enjoy the Gift of the Holy Ghost- the constant companionship of a member of the Godhead to be with us always. I don't think we quite appreciate what that means! That is A MEMBER OF THE GODHEAD to be with us ALWAYS as we are worthy of Him. We we be found so worthy is my prayer, for we cannot come on inch closer to returning to our Heavenly Father without Him. In the name of Jesus Christ, amen.